Use a door to door transfer, a comfortable and hassle free service that will allow you to enjoy your journey from the moment you arrive to the beautiful city of Chennai. Your driver will be waiting for you in Chennai Airport arrival hall and will take you straight to your centrally located hotel in Chennai. Arrange your trip in advance and enjoy and start your stay in Chennai without any stress. Use door to door transfer, comfortable and safe. Don't go through all the hassle of waiting in long taxi and shuttles queues and make the best of your stay while in Chennai with the Chennai Airport Private Departure Transfer. We take the responsibility to provide hassle free departure transfer service. Your transfer from the hotel to airport gets already arranged. Our English speaking representative will wait for you at the hotel lobby and then proceed to drive you to the airport in the complete comfort of a multi-premium vehicle that ensures a comfortable journey . With our compliments, do enjoy the following amenities - mineral water bottle, wet wipes and some candies for a unique and memorable travel. We wish you a very comfortable journey with us! Travel worry-free from Chennai Airport, also known as Meenambakkam Airport, to your hotel across the Chennai. Avoid the hassle of waiting in long taxi lines at the airport and arrive safely to your hotel with our private Car. Make sure you don't miss your flight by booking private departure transfer from your Chennai hotel to the Chennai International Airport, also known as Meenambakkam Airport. You will be greeted by English-speaking driver at your hotel and transferred on a private air-conditioned vehicle directly to the airport on time for your flight departure. Its a private transfer service from Airport to Hotel. our representative will wait for you with the paging board of your name and will provide you the assistance till your check-in at the hotel. This is totally private transfer and you will also enjoy the ride and will get the experience. To avoid the long taxi lines and negotiate the rates. this is will be the best option to book this transfer. Arrange your trip in advance and start your stay in Chennai without stress. Use door-to-door round-trip transfer between Chennai Airport and your Chennai hotel with comfort and safety and avoid long taxi lines. 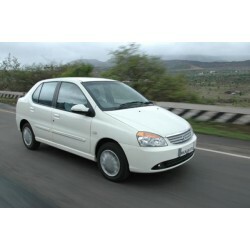 The travel from the Chennai airport and the Oneness temple will be an unique experience in one of our finely maintained cars. You are assured of a hassle free travel with utmost comfort in our air-conditioned vehicles driven by the experienced English speaking chauffeurs.